Do you ever dream about finding a versatile storage solution based on furniture pieces that are durable, yet incredibly lightweight, easy to move around, affordable and stackable? Our general plastic lockers share all these essential attributes and can help you deposit your contents with more ease in any environment. What Is the Purpose of General Plastic Lockers? 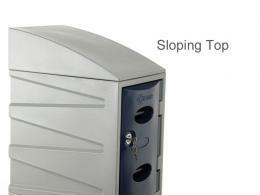 General plastic lockers enable you to prioritize, store and protect a wide range of goods in a number of environments. Their robust design, light, premium material and unique configurations allow you to select the storage alternative that is fully compatible with your daily needs and requirements, as well as with the particularities of your workspace. Due to its multifaceted design, high practical and aesthetic value and spaciousness, these items can be installed in a number of spaces, including homes, offices, warehouses, and shops. 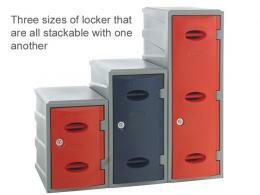 These lockers are suitable for both external and internal applications, due to their tough polyethylene carcasses. They are rot, rust and corrosion resistant, meaning that they can withstand some of the most common environmental stressors (humidity, extreme temperatures) without showing any premature signs of wear and tear. Who Might Need This Product? 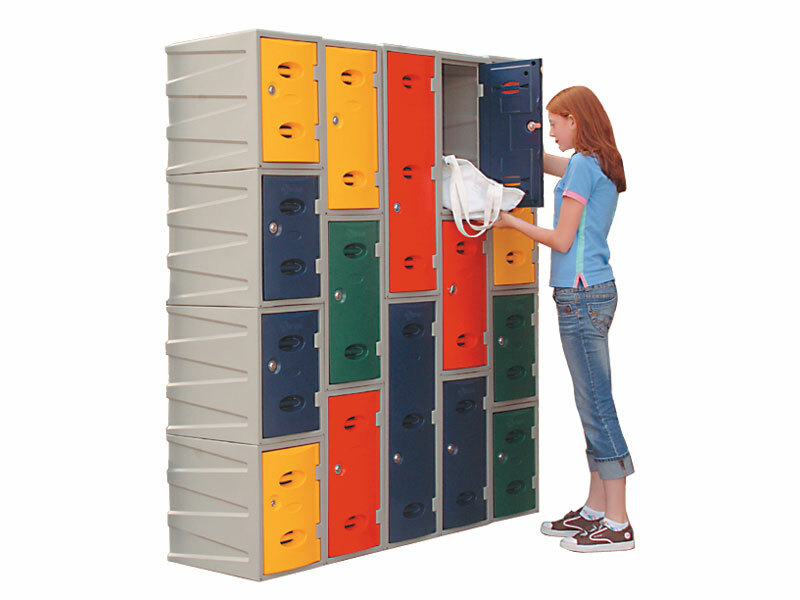 The general plastic lockers that we provide are an excellent choice for company owners and employees requiring practical and secure storage alternatives that can be used indoors and outdoors to protect and organize a large selection of valuables, including inventory, apparel and everyday supplies. These models are easy to clean, dismantle and assemble and require very little maintenance. Their clever design and plethora of safety features turn these items into highly vandal and theft resistant storage options. Durable and incredibly lightweight, these bestsellers can be used individually or in combination with other lockers made of the same material. Stack multiple pieces with ease, regardless of their size, to achieve the ideal configuration that best responds to your storage needs. Available in three sizes-small, medium and large- these lockers follow the highest quality standards and carry a small price tag. Choose the model that you like best based on storage capabilities and size-(450(H) x 320(W) x 460(D), 600(H) x 320(W) x 460(D) or 900(H) x 320(W) x 460(D) (mm)-, identify your preferred door colour (blue, green, red, yellow), add your products to your shopping cart and make the most of free delivery and the lowest prices on the market.